1. 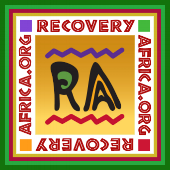 Recovery Coach Training in Ghana - Dates for the training are July 3 – 7, 2017 for 20 participants who will apply to participate in the training. The venue for the training will be the Hopeful Way Training Center near Accra. Donald McDonald of Recovery Communities of North Carolina (RCNC) will facilitate the training. 3. Byron Merriweather - Program Director, Ghana to remain in Ghana through March 2018. RA has funding through September 2017. We need help with funding through March. 4. RA Board will meet quarterly starting August 2017. 8. RA is primarily a 12-step organization that collaborates with organizations both in Ghana and the U.S. that embrace other pathways. 9. RA will apply for membership in Faces & Voices of Recovery's Association of Recovery Community Organizations (ARCO). 10. A volunteer from Healing Transitions in Raleigh, North Carolina, may travel to Ghana in order to study the House of St. Francis and other locations and provide technical assistance. 12. Visit Ghana in September 2017. See this page on our website for more details!